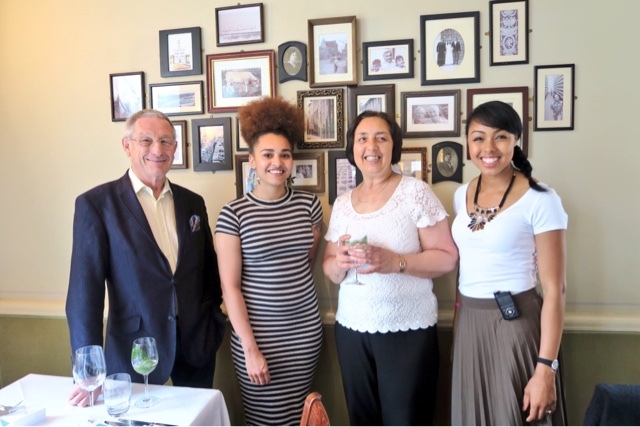 The Queen's Patrons' Lunch at Caffe Caldesi | Life, Sport and Diabetes - An everyday look at my life with type 1 diabetes. 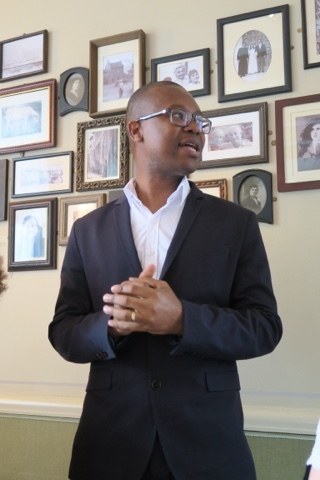 Today I was honoured to be invited by Diabetes UK to attend their Queen's Patron's lunch, which was held at Caffé Caldesi in Marylebone, London. The event was both in honour of the Queen's 90th birthday celebrations, and also to honour the work that the charity's volunteers do. We travelled to London, arriving just before midday, and as other celebrations in the Mall for the Queen's birthday were well underway. Heading to the cafe/restaurant located a few streets behind Oxford Street, to join the other guests for the event. The concept of Caffé Caldesi is an incredibly innovative one, as not only does it serve delicious food. 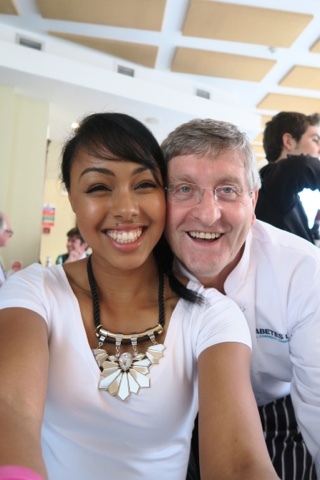 But the head chef, Giancarlo Caldesi and his wife Katie, also run a cookery school behind the restaurant. It was wonderful to meet them both and to taste the true 'Italian-Anglo' food experience. Arriving upstairs where the event was being held, the tables were beautifully decorated in a vintage/ tea party style theme, inclusive of Diabetes UK bunting. Complete with cute blue menus of what we would be enjoying for lunch. Whilst speaking to some of the other guests, we enjoyed delicious canapés of pea and mint frittata, coronation chicken (very appropriate) and baked saffron. 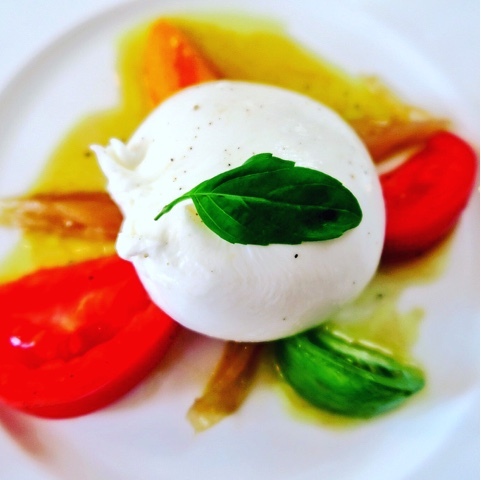 For the the antipasti we enjoyed buratta with tomato and caramelised online salad. Main course was a stunning chicken alla Senese and glazed vegetables. 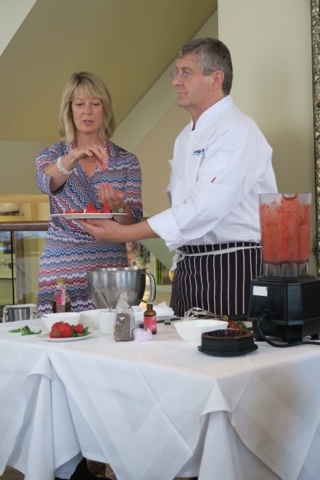 Dessert was a great experience, as we were given a demonstration by Katie and Giancarlo on how they made it. 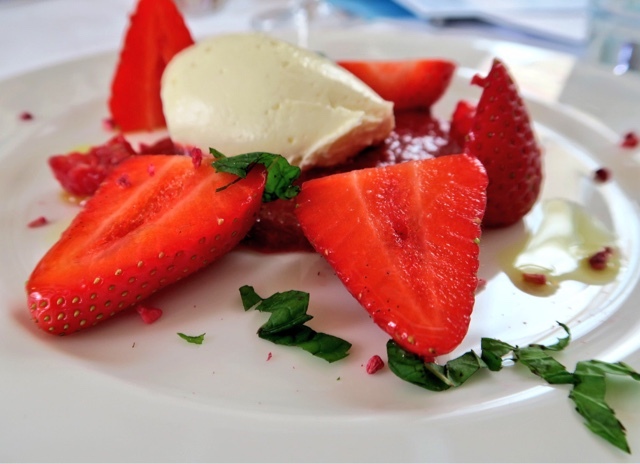 The dessert itself was a modern take on strawberries and cream. But it was nothing like anything that I'd tasted before, because the strawberries were drizzled with a homemade vanilla oil, and sprinkled with mint and dried berries. Accompanying it all was a bed of chia seed strawberry coulis and rose water cream, which was incredibly light but so deep and rich in flavour. At the end of the meal everyone was in agreement on how delicious the food was. The event was made even more enjoyable by a brief speech by Diabetes UK dietitian Dougie, who whilst thanking the Caldesis for their generous hospitality. Spoke about the charity's gratitude for the hard work and commitment shown by volunteers. He also spoke about the role of food in diabetes management and the power it had to transform control. A theme that Giancarlo also addressed when he spoke about his own type 2 diabetes diagnosis, which also coincided with his diagnosis of coeliac disease. 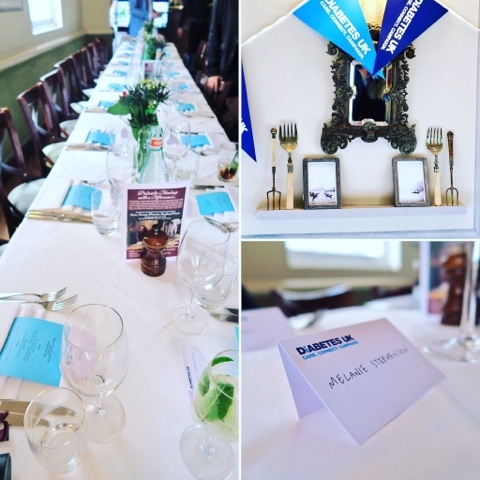 The Diabetes UK Queen's Patrons lunch was amazing, from the food and the decor to warmth and friendly atmosphere at Caffé Caldesi. I look forward to returning in the not too distance future to the cooking school, to fulfil my aspiration to be able to make gluten free pasta from scratch. I also got a copy of Giancarlo and Katie's salad recipe book, so I look forward to sharing experience of creating those dishes with you soon!